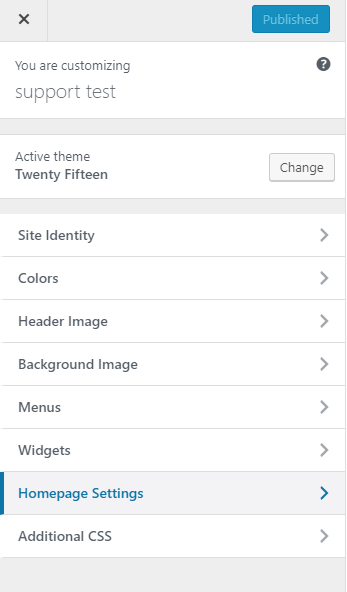 The look and feel of the front page of the site is based upon the choices of the user combined with the features and options of the WordPress Theme. 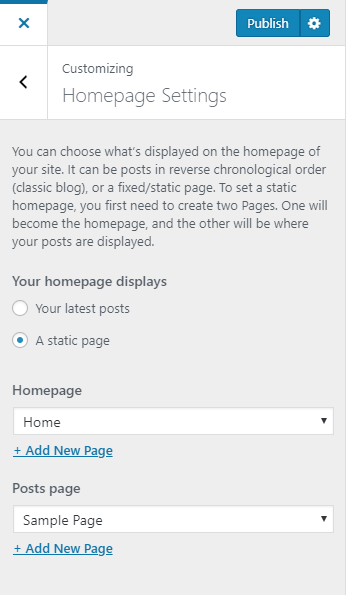 4. select the page that you want to be your new home page. 5. After you are done hit the blue ‘Publish’ button at the top left of the screen.